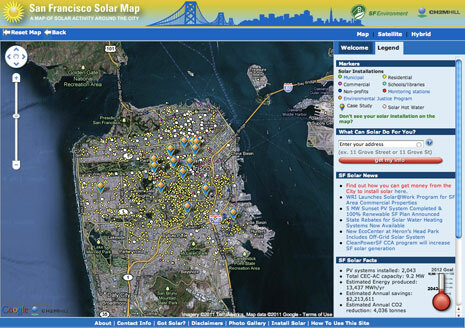 Recently the city of San Francisco created a solar mashup using Google Maps and their own technology that allows residents to enter a building address and instantly see the energy and money savings that going solar could provide to them. Since Google recently expanded their own offices to include offices in downtown San Francisco near the Giant’s Stadium area, I wouldn’t be surprised if they ended up using their own technology to map out solar expansions in the future nation or even worldwide! The San Francisco Google Maps solar system has great benefits if you are a business owner or real estate mogul and have property in the downtown area. 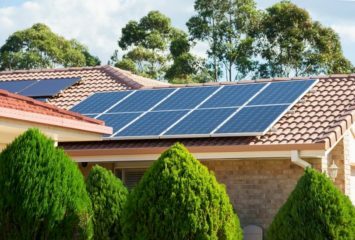 This public resource is a step in the right direction to empower solar adoption. 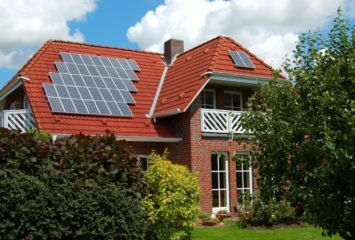 It provides many resources to help users go beyond the standard red tape to get this kind of thing done including building restrictions, homeowners associations, and structural limitations. Unfortunately the Google maps solar mashup currently does not work for locations outside of San Francisco proper but we’ll keep you updated as the program expands and hopefully moves to other large cities in the US and abroad, or at least the rest of the Bay Area. In the mean time, we here at Solar Power Authority have launched three Google maps of our own charting out different clean car charging and fueling stations around the US including solar electric.